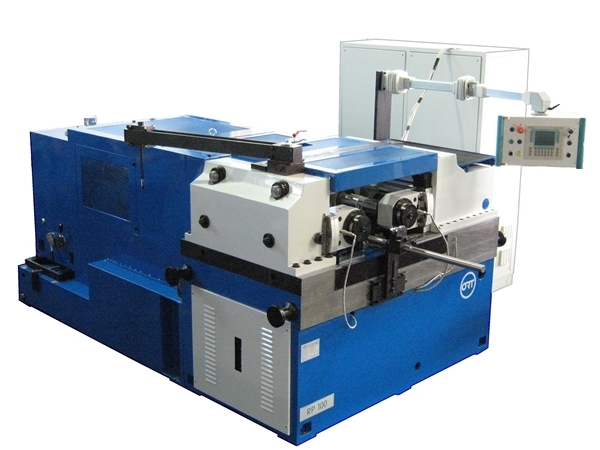 The RP series of hydraulic rolling machines are equipped with two rolling spindles, with one moving head. The machines can be controlled by PLC or CNC and have rolling pressures ranging from 100 to 1,250 kN; they have been developed for fast and precise plunge rolling or through feed rolling operations. These machines are perfectly suitable for rolling all types of threading on cylindrical materials (ISO, ACME, TPN, WORM SCREWS etc). 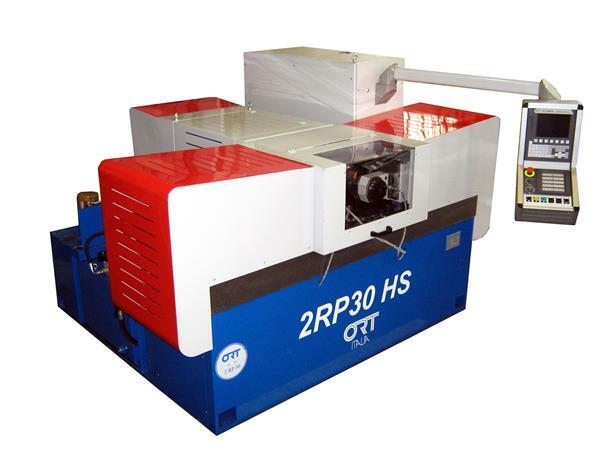 The 2RP hydraulic rolling machines are equipped with two rolling spindles and two moving heads. The two moving heads allow the work piece to rotate in one fixed position during rolling thus improving the forming process and simplifies the loading / unloading system for long bars. The machine can be controlled by PLC or CNC and have rolling pressures ranging from 100 to 1,200 kN; they have been developed to allow fast and precise plunge rolling or through-feed rolling operations. These machines are perfectly suitable for rolling all types of threading and cylindrical materials (ISO, ACME, TPN, WORM SCREWS etc. ).